When the rib cart reaches your table, you get tender slices of prime rib, sold by the ounce, so you get to decide how much you want. (You’ll want a lot.) 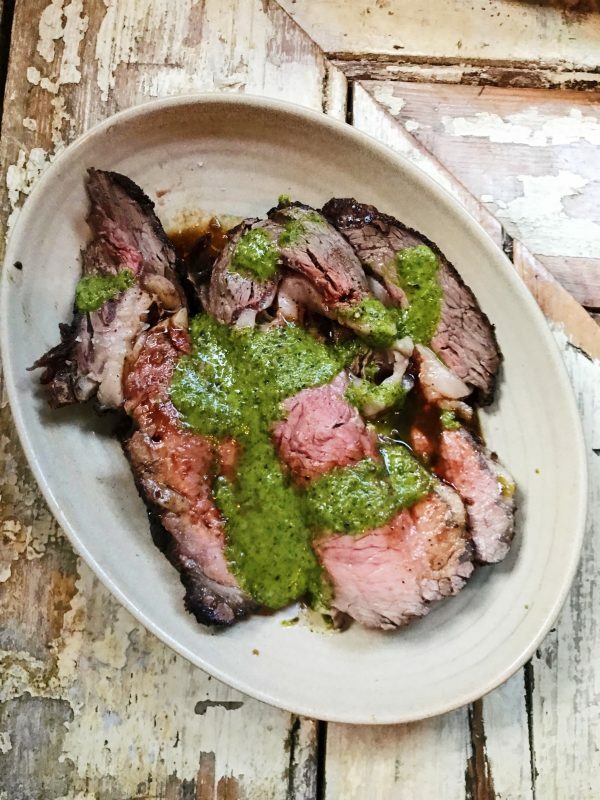 The meat is well-seasoned, made a little punchier with a ladle of garlicky chimichurri or red wine sauce or both. There’s a generous marbling of fat, a nice complement to the almost-charred outer edges. I like pairing the rib roast with some of La Brasa’s famous Mexican fried rice or the incredibly crispy fried potatoes. Those deserve to turn heads, too. But just make sure there’s room on your table for the rib roast. The post Dish of the Week | Rib Roast at La Brasa appeared first on Confessions of a Chocoholic.